The SAT is kind of like some sort of immortal being–feared, admired, and timeless. Yup, that’s right–your special time with the SAT isn’t just limited to high school…you’re never too old to take it! Taking the SAT before transferring to a four-year university isn’t a subject that’s touched upon often. 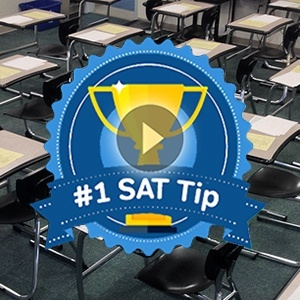 While the vast majority of SAT-takers are high school juniors and seniors, there is also a considerable percentage taking the SAT from a community college. College admissions for transfers is very similar to regular college admissions–and much of the same requirements apply. While some colleges will grant exceptions, most will require the SAT even from transfer students. For those considering transfer, this requirement can be daunting, especially since it’s normally associated solely with high school upperclassmen. You’ll have to confirm whether or not your college requires test scores from transfers–especially if you’ve already earned your Associate’s degree. There are many who do and many who don’t, so it’s better to be safe than sorry. Before applying to a school, find out what the institution is looking for in transfer applicants. You can get a good idea by looking at a school’s Common Data Set. The Common Data Set is a document that four-year schools across the country complete that contains lots of information on such topics as admission criteria, freshman academic profile, campus safety and transfer admissions. You can often find a college’s Common Data Set by Googling that term and the name of the institution. It shouldn’t be a scary thing! Because you don’t have a high school to guide you through the process, it might be a little bit less straightforward, but it’s still very much doable. Registration is a very simple process. Just go to the College Board website–and you can register from the home page.Test dates, prices, and practice questions are all easily accessible from there–so everything’s really straightforward! As for testing sites, there are thousands across the country. You might have to go to a local high school to take the test–maybe even the high school where you graduated. 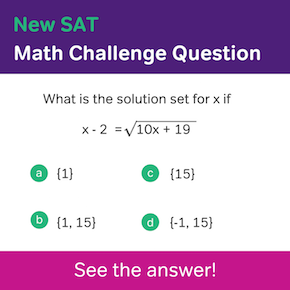 Prepare for the SAT just as you would if you were in high school. You can sign up for local prep classes, research practice tests, buy some guide books etc. Definitely do NOT be afraid to reach out to your college for resources. Prep groups at your community college can help tremendously when preparing for the big day. It’s important to remember that–while SAT scores often factor into your admission, they aren’t nearly as important as they were in high school. According to one NACAC survey, the most important factor when considering transfer applicants is your grade point average. For those transferring after one-two semesters, SAT will be a little more important, but the further away you are from high school, the less essential it becomes. Your academic performance in the classroom will attest far more to your college readiness than your SAT score. Don’t be discouraged about your less traditional path. According to one survey by the National Association for College Admission Counseling, a third of students end up transferring to other colleges or universities. Transfer is becoming more and more common, so you are far from alone. Many colleges are extremely welcoming towards non-traditional students, especially ones who have utilized their late start to prove their motivation and ambition. Do 8th Grade SATs Count? What is the Minimum ACT Score I Need for College?